Normally title of an artwork passes to a new owner upon the seller’s receipt of agreed funds. The seller presents an invoice to the buyer showing he has a clear title to a certain object and that he has agreed to sell at a certain price. 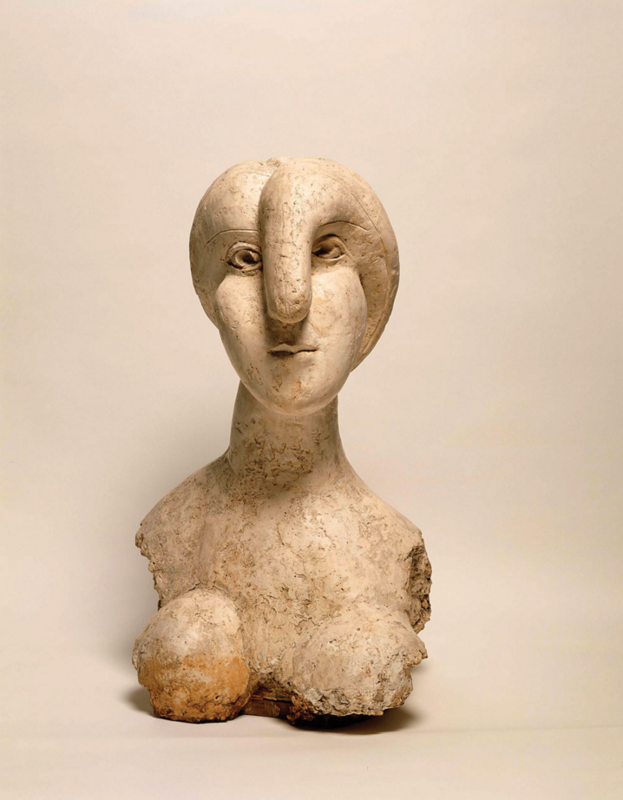 However, a court case in the news at the moment, between the Qatari Royal Family and the dealer Larry Gagosian, over who owns the sculpture ‘Buste de Femme(Marie-Therese Walter)’ by Picasso, hinges over if title changed hands. Picasso’s plaster Buste de femme (Marie-Therese). 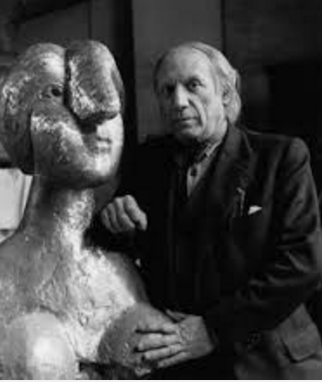 The details of the case have been widely repeated elsewhere but in brief it seems that Picasso’s daughter, Maya Widmaier-Picasso, sold the plaster sculpture to the Qatari Royal Family through Pelham Holdings via the now defunct art dealership, Connery, Pissarro, Seydoux in November 2014. The US$42m was to be paid in 3 instalments. Madame Picasso accepted the first 2 payments but sent the third payment back and also returned the first 2 payments cancelling the sale. Initially her lawyers claimed she had been of unsound mind when she made the sale but she then sold the sculpture a second time to the dealer Gagosian for US$105.8m. Madame Picasso clearly had a case of seller’s remorse when she discovered, allegedly through her daughter, that she could get more for the sculpture. Gagosian claims he knew nothing of the first sale. The case would seem to rest on when and if title had changed hands in the first sale. Pelham were apparently on schedule with their payments. Did title change hands subject to their making the payments on time or did title remain with Madame Picasso because she never accepted the third payment? A judge will decide. The moral of the story is that in the art world you should buy fast and sell slowly. Late payments, delayed payments, or payment by instalment causes nothing but trouble. Had the Qataris paid up front they would have secured the sculpture. Slow and erratic payment seems entrenched in business culture of the Middle East. If the Saudi Royal Family are involved you are not even allowed to ask for your money, so only sellers with deep enough pockets to finance what is sometimes years of waiting, can afford to do business with them. Perhaps the Qataris will pay up faster in the future. 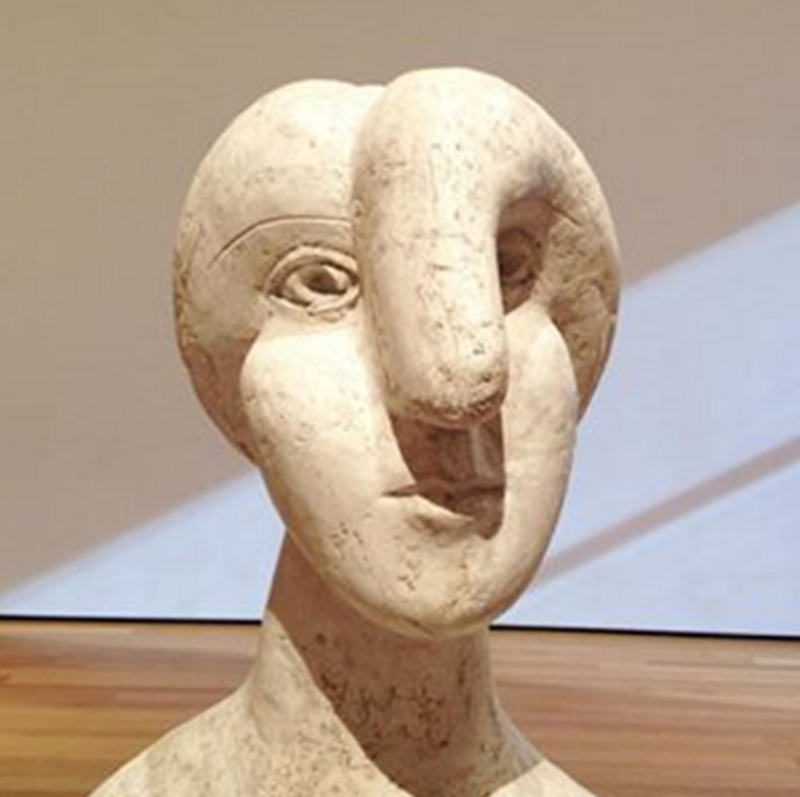 Amid all this talk of skullduggery no one seems actually to have had a look at the sculpture which was one of the centerpieces of the recent Picasso sculpture exhibition at MOMA in New York. The plaster sculpture shows Marie-Therese in bust format. Her strange-looking breasts pop out at the viewer. Her head looks deformed with a horrible nose growing out of her forehead. The word that springs to mind is monstrous. It really is horrible and it is hard to see how anyone would want it which is probably why Madame Picasso still owns it. A close up of the sculpture while recently on exhibition at MOMA in New York. It seems that Picasso has now become so famous that no one can actually look at his work anymore. His reputation is so large and his values so high that the artworks buzz with an excitement which overrides any critical discussion. Very rarely is his work analysed or discussed in any other terms other than financial. I have written elsewhere on how Picasso is the go-to artist for new buyers and the bluest chip in the art market. Picasso had troubled relations with his women. At the beginning he painted and sculpted them with some tenderness but rapidly his mood changed and, in tandem with his anger, he started pulling them apart and moving their body pieces around in strange juxtapositions. This is one such work. Picasso with the bronze version of the current work. I would imagine that whichever party doesn’t end up with the sculpture will look at it one day one day and sigh with relief over the close escape they had.